My Story of the Dread Fentynol Patch and Lowering the Dosage to Accomodate Ability to Take Oxycotine, or, Why did my Pain Medications get Pushed up to Such a High Amount, and then I Have to Suffer. I haven’t posted anything in a very long time, sorry about that. I have been steadily trying to understand my PTSD, caused by being rear-ended at 30mph, five years ago. It’s extremely difficult to understand (I am a degreed MSW; Child and Family Therapist, who actually studied the symptoms as they manifested in our returning military veterans, and the sexually abused, but no real mention was made of a life-threatening event like mine) and even more difficult to live with. My last few years have been spent with very limited energy from the extreme highs and lows that my brain constantly creates from fears that are not occurring in the moment. When I am not spinning out of control because I had to leave the house and deal with events that I can’t control, my pain has been keeping me in bed. It’s not a combination I wish on any of you (in “archives” there is a blog about fibromyalgia and “nature or nurture” that some may wish to read). I finally found a tiny space of time in which to write about my recent experience in lowering my Fentanyl patch by 25mcg. I was more than happy to do this, as I don’t enjoy being dependent on medications for pain control. I do my best to live well using other methods, they do help but they don’t control the pain by themselves. 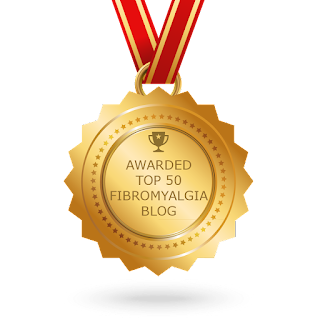 I have written and will continue to write extensively about how to live well with chronic pain; this is not about that. Rather, it is a frank discussion about my personal experience with my withdrawal symptoms, my doctor’s agreement about increased oxy pill use during the ensuing months, and the pharmacist who has to live by his corporate policy instead of human decency. My doctor and I have been discussing lowering my opioid use for a while now. At first we discussed lowering the pills, it seemed a better idea as the patch is continuous relief without the ups and downs caused by waiting for a pill to take effect, and feeling the effect break down after it’s 4-6 hour life span in my system. Somehow we decided that the patch was the smarter issue to focus on decreasing. Let me say to you all that he is a wonderful general practitioner, not a pain management specialist. He inherited me as a patient and has been nothing but understanding. His practice initiated a change in amounts of total opioids after the CDC drastically lowered the limits “suggested” as the daily allowance. It seemed that my patch was pushing me beyond those limits by quite a lot. So, I got an increase of two pills a day and lowered the patch by the 25mcg. My doctor assured me that I would have the amount of pills I needed until my body adjusted to this decrease. The first three weeks I found myself in pain I didn’t know I experienced. I also found that I needed more than the extra 2/day he alloted. He knew this could happen, see above discussion about allowing me what my body needed, and the first month he sent my pharmacy an early refill. The pharmacy filled it. My adjustment didn’t automatically end there, at the end of three weeks. I was still trying to learn to live with an increased pain threshold. My brain was learning to make new endocrine and seratonin receptors (studies have shown that chronic pain brain’s don’t make enough of these natural pain relievers, so recreating them when they don’t exist is an interesting thought process). Mental addiction is not the same for us, we don’t get “high”, we take these prescribed medications in order to try to be a part of society, just like the rest of the population. That does not rule out that there is no mental addiction. In my case, my mental health went way down. My fuzzy brain symptoms became much worse. Bottom line, it took me three months to relearn how to live well with a higher pain level. Recreating my understandings of what restrictions I had to put into my days, how to adjust my activities of daily living, and more. Now, the second month of early refill. The pharmacist got distressed and dragged out filling it for three days. I got through it with luck. The last month, third, I was finally able to use only half of the amount per day of oxy I was allowed; it was too late to not need one last early refill. Now my pharmacist was refusing to fill early and demanding to speak to my doctor. My doctor was in only half a day and I now felt like a drug seeker. I was incredibly humiliated and completely depressed for a few weeks. I tried to talk with him and reminded him that I had only recently gone down by much, much more than the amount of pills I was replacing the 25mcg of Fentanyl I was on, and, that I just finally accomplished it. No compassion there. My doctor? I don’t know if he called the pharmacist or not, I was too humiliated to phone him back. Again, I got through with luck. The pharmacist did not fill it until five days later. I learned a lot from this experience. The first thing I should have reached for was my computer. I needed to do research on how others had lowered theirs. I needed to know that 25mcg of Fentanyl is equal to an incredible amount of oxy pills. I should have lowered my pills first, then the patch, then increased my pills. I won’t be lowering anything again anytime soon. There is a silver lining here, I did lower both! Yes, I have more pain but I feel better about not having all these medications in my system. I also straddled that line that all those without chronic pain are always “suggesting”, “can’t you do this without all that medication?”; code for, “aren’t you an addict?”. I am not an addict. I have said this many times before. I am addicted though. This is not my fault. This is my body’s inability to generate enough needed hormones and a deficit of substance P. My bodies overactive nervous system. The CDC, doctors, and pharmacists are not who anyone should be blaming for our high medication dependence. The pharmaceutical companies started this a long time back. If I had known what most still don’t about the fraudulent claims they made about the “non” addicting pain relief medications, I would never have allowed my doctors to continue raising my medications to these amounts. I prevailed because I desired to. Because I am not an addict. Because I have a great doctor. Because I am not only a natural advocate but a degreed advocate. My concern is for those who can not do this for themselves. Mandatory lowering or removal of medications that work for us is here. There is no blame where it should be placed, there is a lot of shame where it should not be felt. It is a fight. An unfair added battle that we should not have to shoulder. Chronic Pain Peers have been battling the medical system for decades. We got this!